Innovative financing mechanisms such as social impact bonds stand to improve the efficiency of development assistance in the coming years – and that is what has brought us to the working group. As a vital component of the impact investing sector, outcomes-based finance can be a powerful means of enhancing the effectiveness of aid and development finance. 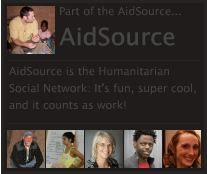 The thing is, there is almost no one actually doing this in the developing world market. Almost no one. The one group I know of actually doing this in the field is Instiglio. Founded by a brilliant group of fellow Harvard MPA/ID graduates, Instiglio is working to use SIBs to improve social services in developing countries. I’ve met with several of the founders in Colombia where I was based for a few years and where they are working with local government to finance innovative approaches to school dropouts and adolescent pregnancy. I’m very impressed with them and their work. This week, you have a chance to hear from them directly in an interactive Webinar. Instiglio co-founders Michael Eddy, Avnish Gungadurdoss, and Michael Belinsky will join the founder of the Impact Trust, Tamzin Ractliffe, for a Webinar on July 10 to discuss social impact bonds in developing world markets, particularly in Africa. 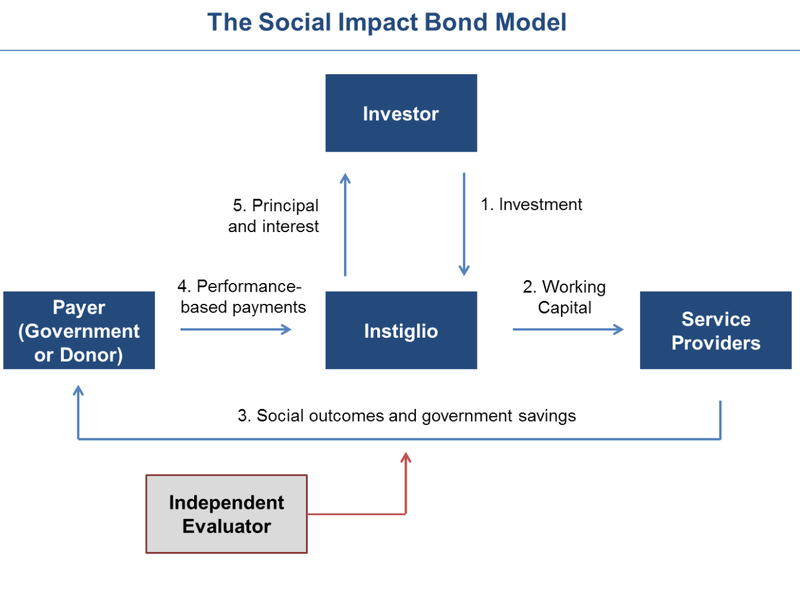 Instiglio will draw upon its experience as a non-profit organisation with the goal of advancing Social Impact Bonds (SIBs) and results-based financing programs in international development. Instiglio’s extensive work to promote and design SIBs includes projects such advising the design of a $15-million investment facility alongside the Inter-American Development Bank that will support the creation of SIBs in Latin America; the design of a SIB in India around the education of girls and in Colombia around reduction of teen pregnancy; and defining the application of SIBs to healthcare in Southeast Asia for the World Health Organization. The Impact Trust is a non-profit organisation dedicated to growing and maturing the impact investing ecosystem to realize innovative social and environmental solutions to developmental challenges. The webinar session will introduce attendees to the concept of Social Impact Bonds, and address their power and potential in an African context. Non-profits, social enterprises and social service providers are particularly encouraged to attend. The Webinar will take place on July 10 at 9 AM EST / 3 PM CEST. Register here. I trust you’re doing well. It was great to see your comments on SIBs. I have been in contact with Michael Belinsky at Instiglio and met with Tamzin (we did some work together) while in Cape Town in April. WVC has been in discussions with CIDA on the use of SIBs and are considering the possibility for work with the extractive sector. Where are you based? As I recall you have taken on a new job with WV, right? Interesting how our worlds and interests keep crossing! I was actually up in Toronto recently for the Global Youth Engagement gathering and the N. American Board meeting. I looked for you in the office, but didn’t find you. I’m based in Seattle now and am working with the Education and Life Skills team. I’d love to chat with you about your talks with Instiglio and where you see that going. Drop me a line some time. You’ve got my work email.